Looking for best game hacker apps for Android? Welcome gamers, are you bored of your old games and want some new thrill with your games with a little customization and hacks. Then, you are in the right place. Any time of our daily routine when becoming bored, our smartphone has proved to be the best companion. Gaming has been the best part of our free time. For our smartphones, Android has become the hub of entertainment by it’s cool and fascinating features with games on the top of the list. Either be PUBG, FortNite, clash of clans, etc. These games became our means of enjoyment, being android games these are easily customizable. Now, here comes the interesting part, do you want to modify these games. But how? By some random hacking apps which are easily available and won’t cost a single penny to use. I also shared these best hookup apps for Android. Imagine what you can make your favorite games look like with your settings and customization without even spending anything. There are hundreds of apps which offer you such services but with quantity comes a lot of garbage. For avoiding you to become the part of this garbage and waste your time. We have made a list of best apps available to hack android games easily. Recently, I shared these best logo maker apps for free. Want to beat our opponent and impress your friends? This is the best app for you then. Game Guardian is one of the best game hacker apps for Android in the world right now. Its great and easy interface makes it top the list. It offers easy hacks in the games such as searching for unknown values and encrypted databases, speed hacks. It supports both versions (x84 & x64) devices. For easily using this app you need to have a basic knowledge of the game. Hacking the games had been a simple task with the help of modified apps in android. Modded apps help you to cheat and get premium access to the game’s features without costing anything. But finding a trustworthy source for these apps was always a matter of concern. 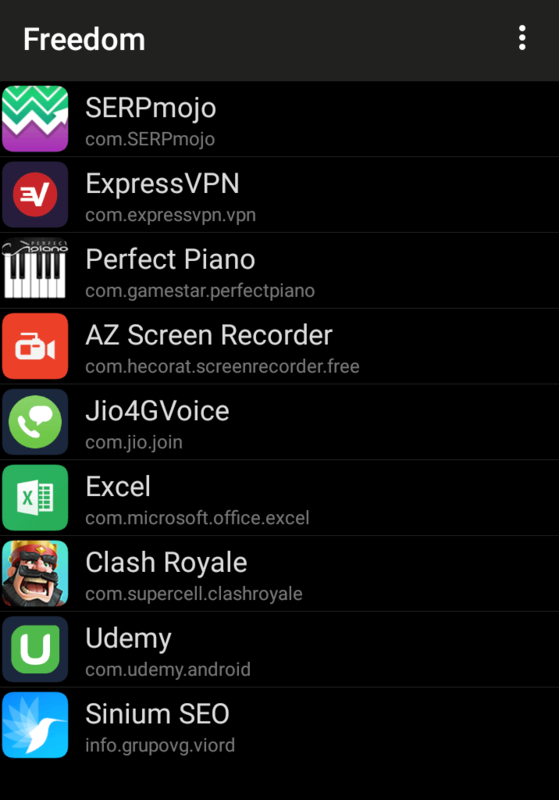 People always end up downloading rubbish or malware on the name of modded apps. To end up these difficulties and making the things more secure we have the Hacker Bot. 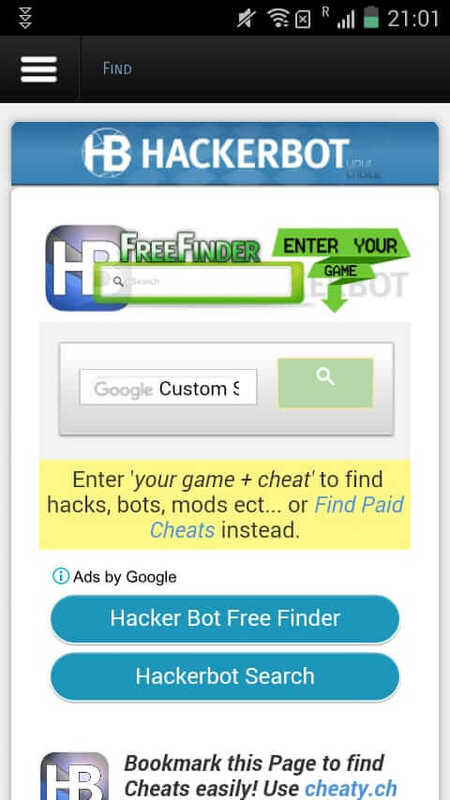 Hacker Bot provides a google search engine to direct on the modified apps which are most trusted and safe. It saves your worthy time as well as keeps your device most secure. Now it’s time to talk about some games like pokemon GO, clash of clans, Minecraft, etc. Reading the names would have given you goosebumps right, but its true these are also customizable. This app is so much powerful that it can easily customize high-end server-based games like pokemon GO. Its overlaying feature on the game interface makes the user easily use the app. The fascinating features of this app are Lua scripts, means BOTS for automatic and artificial intelligence controlled raids, easily collecting rewards without a piece of effort. Have you rooted your device and now searching for something that is damn powerful. Then I think GameCih is the place where your search ends. This app is so much powerful that it has the potential to easily hack and cheat on both online as well as offline games. Mostly every type of change can be applied to the games with the help of GameCih application. Lucky patcher has been the lion of the market for both root and non-root users. 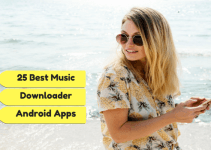 It is among the best apps available in the android but not in play store. It’s one of the best game hacker apps for Android phones. 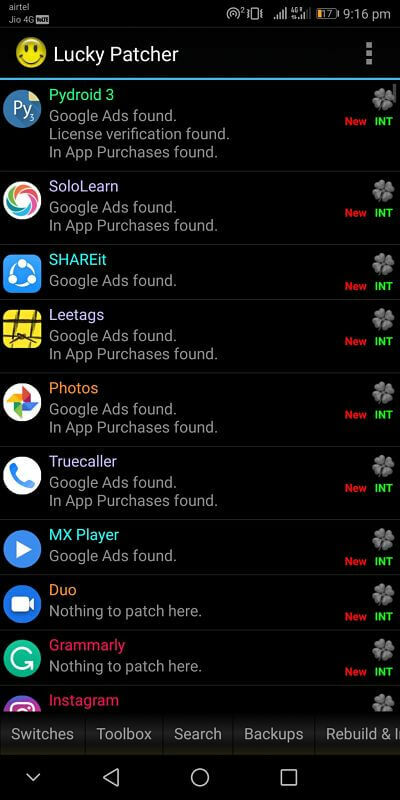 This application can easily free your game from every annoying pop-ups and Ads. 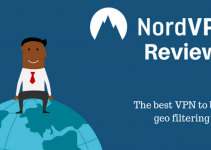 Its regular updates from devoted developers have been upraising and dominating the market. Ypu can get paid apps for free with this app. The features of its built-in tools are to remove Ads, modifying the memory of the database of the game and license verification. The most salient and powerful feature of it is own database of pre-coded mods. Hence, it becomes possible for users to apply these mods in the available games to get access to valuable items and unlimited resources. 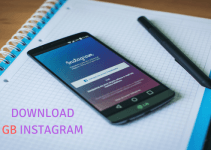 This application is available for both rooted as well as non-rooted users. Lucky patcher had always been the first choice of mostly all android gamers. This application had always been known for his command over online games. It is not just an app but can complete package to redeem unlimited golds, points, coins and other rewards within the game. 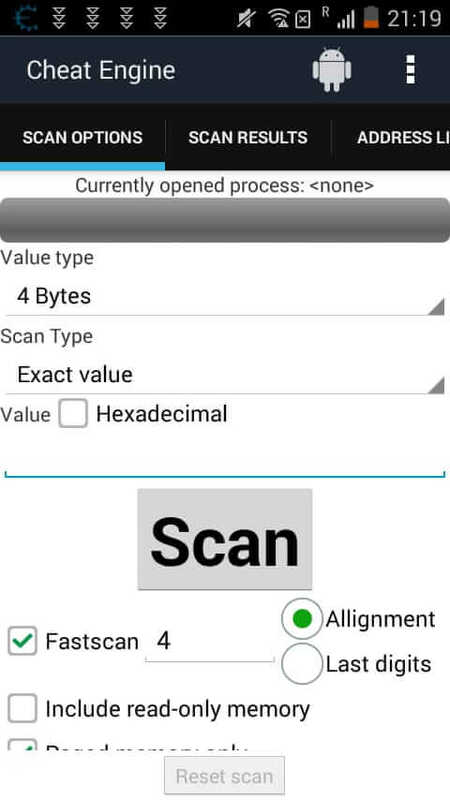 CreeHack also helps you in bypassing the editor’s security in the android. It can be used for both offline as well as online games. The name itself makes a person clear about the app. Cheat Engine has a history of hacking games. Earlier, it’s PC version has shocked the entire market with its amazing features. Later, it’s android open source application did the same. If you had earlier experience of using these types of apps on your PC, then this is the best option to go ‘for. user customized walls and much more is just a few seconds work with the cheat engine. much powerful as of PC version. Meanwhile, the developers are in full approach of making it as much as convenient by providing time to time regular updates. Game Killer is also a great option to hack gems and coins of android games. It is one of the best apps. Previously I was also available on google play store. But it has been removed from google play store due to some issue. But don’t worry you can still download it from here. And you can easily hack offline games for getting unlimited points, coins, and gems. Yes, Freedom app gives you the freedom to make changes. And lets you free to access your game according to our self. It has been known for its characteristic of hacking games as well as APKs efficiently. Freedom app is one of the best game hacker apps. If you always think and want to seek paid, in-app purchases of the games without costing a single penny. Then this application has a right to be installed on your smartphone. Yes, it is possible with this app that you can grab access to valuable items and most of the paid stuff without even making the payment in reality. It works on the principle of faking the purchases and fooling the servers. A point to consider here is that, to handle so much performance we need a ROOTED device. The last in the list but one of the most trusted and popular hacking application is the SB Game Hacker. It’s considered as one of the best game hacking apps for Android. Every possible cheating in the game within a matter of seconds is possible with this app. It includes modifying the system files for unlimited gold, coins, cash rewards, money points and much more can be easily be achieved with the help of this app. Let it be Annoying Ads, bypassing the license restriction or changing the gameplay speed all can be done with SB Game Hacker. If you have a naughty mind and want to have some extra fun in the game with cheats then, this package is surely made for you. 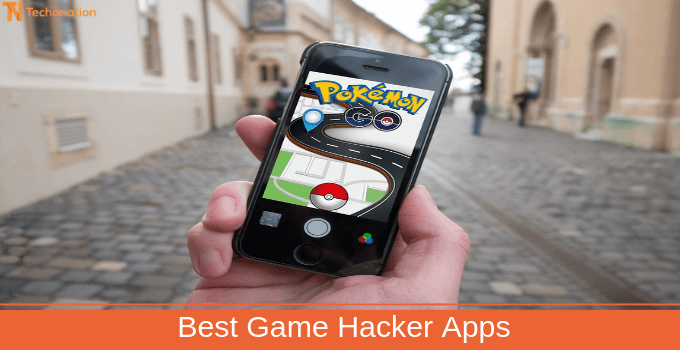 I hope after reading the list, you have got the idea of best game hacker apps. So now it is your turn to let us know which app you are going to try out first. Is it Lucky Patcher or creehack? Or something else? Let us know in the comment section. And do not forget to share it with your friends. If you know any other cool trick regarding this, then share with all of us in the comment section.